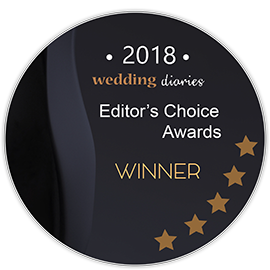 EDITOR'S CHOICE: We've hand picked the best of the best wedding venues & reception venues in Newcastle to help you pick the right one for your big day! Newcastle of New South Wales is one of the biggest cities in the state; to date we have been recommending wedding ceremony and reception venues outside of larger cities because they have beautiful vineyards and such. However, Newcastle is located right on the Hunter River and is bordered by the Watagan mountain ranges on the west and rolling green hills to the south. There is also a heritage area that would make for beautiful photographs, as well as a lot of Victorian architecture. Of course, the coast itself also provides many opportunities for laid-back, beach weddings. 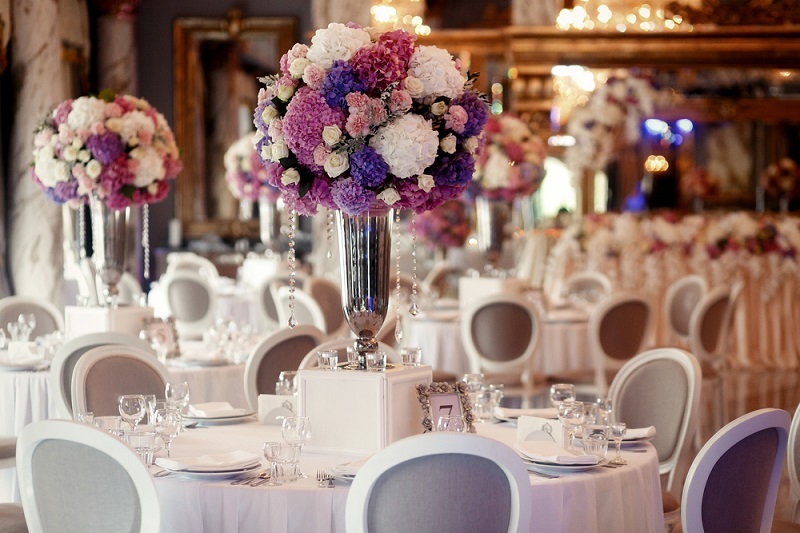 Whatever style of wedding you are looking for, chances are that you will find your dream wedding venue in Newcastle! Here is a list of our favourite 15 for you to consider. In Murray’s Beach, New South Wales lies a charming little cafe in the midst of the Wallarah Peninsulah and on the banks of Lake Macquarie. Your wedding ceremony can be held outside next to the lake and under the trees, and the reception can be held either inside the cafe, on the wooden terrace, or a combination of both. The food is of a modern Australian style and the design is also contemporary, with floor to ceiling windows and sliding doors that look out onto the beach and light wood flooring. The venue can be decorated any way you like, and you can see examples of past decorations on their Facebook. If you and your partner are an artsy or whimsical couple, you will love this art gallery in Newcastle, New South Wales. It is located in a heritage building that was previously a police station until 1982. You may be thinking, “Why would I want to get married in a lock-up?” but the beautiful colonial architecture will wow you, and the space has been sympathetically renovated. The Yard has been transformed into a open space with exposed walls and bars overhead, which look gorgeous when lined with flowering vines or ivy. The contrast of the raw and exposed with the delicate and romantic is quite lovely: see their Facebook for photos! For larger parties the historic Longworth House is a great choice, and also offers an “all-in-one” service where they will help you plan every bit of your ceremony and wedding. They also offer wedding day exclusivity, meaning they will be focused on you for the entire day. This Newcastle, New South Wales wedding location has gorgeous vaulted ceilings and breathtaking baroque architecture, complete with stained glass. You must check out their Facebook today and see for yourself how beautiful this space is. For those who love the elegance and class of a luxurious hotel wedding, the Apollo International Hotel in Newcastle, New South Wales is a perfect choice. This venue offers a garden for your wedding ceremony and the Apollo Room for your wedding reception festivities. Plus, the ceremony is complimentary when you host your reception here! We love the convenience of having accommodations available at your venue as well. You also have the choice between a cocktail wedding or a seated dinner, both served by the acclaimed Babbington’s Bar & Grill. Many of you may think that City Hall is only for civil ceremonies, but this Newcastle, New South Wales architectural treasure just screams grandeur. There are marble staircases, beautiful wood flooring, and huge arched windows. There are several rooms available to suit any size wedding party. For very large wedding parties, we absolutely love the Concert Hall for its 14m high ceilings. Take a look at their Facebook for their other rooms and photos of their catering. If you’re envisioning a beach wedding with a touch of luxury and floor-to-ceiling windows from which you and your guests can marvel at the stunning landscape views, Noah’s on the Beach in Newcastle, New South Wales is the wedding venue for you. After a moving ceremony on the beach, you can host a wedding reception (casual breakfast-style or formal seated dinner) with the help of a wedding coordinator. Check out their Facebook for more information and photos of real weddings. Should you or your fiance love the water, boating, or fantastic harbour views, you must visit the Marina Views Function Centre in Newcastle, New South Wales. You even have the option of making a dramatic entrance from the water by boat! The reception space is so modern and beautiful that you barely need any decoration. Just add some fairy lights and you are good to go! Visit their Facebook for videos tours of the centre and function rooms, photos of real weddings celebrations and couples, and more! Another beautiful beach setting can be found in Newcastle, New South Wales. Their rooms can host both small and large parties (40 – 350) and the size of the rooms themselves can be customized with movable walls. The reception space is entirely on the second floor so you don’t have to worry about regular restaurant patrons crashing your wedding reception. After a beautiful wedding ceremony on the beach, you can continue to admire the gorgeous views from the floor-to-ceiling windows from the event space (check out their Facebook). This historic space in Newcastle, New South Wales is surrounded by parks and beach which can all be enjoyed in panoramic style. Enjoy the acclaimed Blue Star Catering food while appreciating the views from the timber deck with up to 120 guests. There are also no columns in the wedding reception space so all your guests can continue admiring you and your new spouse! See their Facebook for photos of the grounds and more. Nestled between Hunter River and the ocean, this Newcastle, New South Wales hotel is a heritage building in an Italian Renaissance style that offers event spaces that can be used for a formal wedding reception or an outdoor beer garden that is perfect for a cocktail style party. Make sure to visit their Facebook for more information, patron reviews, and photos! Another hotel in Newcastle, New South Wales lies on the banks of the Hunter River and comes highly recommended by past brides and grooms. The eclectic design of the hotel offers a bit of luxury and a bit of the rustic (gorgeous exposed brick, wood, and slate). The catering is provided by their own restaurant which is well-known for their American barbecue fare. Check out their Facebook for photos of their mouthwatering burgers, salads, and more! This beautiful beach hotel and resort in Newcastle, New South Wales can host wedding parties of up to 100 guests (or 140 in cocktail style wedding receptions). Floor-to-ceiling windows offer a panoramic view of the surrounding Newcastle Beach and King Edward Park, and Fort Scratchley is only minutes away if you are looking to take your wedding photography there. Plus, the accommodations are clean, chic, and modern (see their Facebook for photos), and you and your bridesmaids can enjoy high tea on the morning of the big day to relax. Also on the banks of the Hunter River is the Harbourview by Blue Star, a gorgeous event centre that is just perfect for a wedding reception. The space offers up to 6 hours of party fun, has a terrace for your use, and a parquet dance floor. Your wedding reception will be catered by Blue Star, who comes highly recommended by past brides. There are several rooms available that will suit a variety of wedding party sizes, so check out their Facebook to determine which room is best for you! This amazing events space offers many different rooms and spaces for your use and prides themselves on producing enjoyable, stress-free events with as few restrictions as possible. The rooms are gorgeous, and we love the Mail Hall for its stained glass windows, vaulted ceilings, and exposed brick (it’s very Hogwarts meets church). What are you waiting for? Visit their Facebook and admire the photos while you wait for your in-person tour! In Broadmeadow, New South Wales is a great wedding reception space for those looking to host their wedding festivities outside of a church, hotel, or beach. The Newcastle Racecourse offer both indoor and outdoor spaces, including The Betting Ring and Courtyard Room. You also have the choice between a buffet style meal or two / three plated courses. Check out their Facebook for more information and photos. Newcastle is such a lovely city with beaches on both the Hunter River and the ocean, as well as gorgeous colonial architecture with Italian influences. With a plethora of beach venues, historic buildings, galleries, and other venues to choose from, Newcastle is a must-add and must-see for your shortlist of wedding ceremony and reception venues! Don’t miss out! Newcastle, NSW is located about 160km away from Sydney by car. Located right next to the ocean and Hunter River, the area is mostly known for its beach and waterfront wedding ceremony and reception venues. There is also Glenrock. The Hunter Wetlands National Park, Fullerton Cove, and Worimi nearby, which are all excellent wedding photography locations for those looking for something other than the beach and ocean or river. Although Newcastle is mostly known for and ideal for waterfront and beach weddings, there are also many other locations such as Newcastle Museum and Fort Scratchley, for those looking for something more luxurious—but they still offer beautiful views of the ocean and Hunter River. There is also a lovely heritage area, with gorgeous Victorian architecture, including Christ Church Cathedral, a lovely wedding ceremony venue. There are many affordable wedding venues in the Newcastle area, with packages offered as low as $42 per head (at The Lakehouse Café). Of course, most of the wedding venues you will find in this area will be beach or waterfront type venues. One of our favourites and a very popular location for weddings in the region is Quality Hotel Noah’s on the Beach, with gorgeous oceanfront views and packages starting at $99 per guest. As always, when you are budgeting for your wedding venue, we remind you to make sure to include such extra costs as taxes, gratuities, catering, decorations, linens, and more into your calculations. There are several airports in and near the Newcastle area, including the Newcastle and Lake Macquarie Airports. However, as these are smaller airports, your out-of-town / out-of-state and international guests may prefer to fly into the Sydney airport, located about 2.5 hours south of Newcastle by car. Of course, they may also catch a connecting flight into the Newcastle area. Hotels in the Newcastle region will cost between $60 to upwards of $250 per night, but average around $120. We love Rydges Newcastle ($240) and Quality Hotel ($149). There are of course also many lovely Airbnb’s available in the area, with the most popular homes in Newcastle range from approximately $70 – $240 per night. Newcastle, New South Wales is known for being quite warm throughout the year, with the coolest months in the winter, June to August—but even during these months, the coolest temperature is approximately 9oC. There is a fair amount of precipitation throughout the year as well, with an average of 7 days of rainfall each month, but November to April are the warmest days, and expected to experience the most rainfall. Since it is difficult to estimate which months or days will be see the least or no rainfall, we suggest you always ask your venue or possible venues whether they have a plan B for rainy or inclement weather, especially if you are looking at outdoor wedding ceremonies or receptions.